Mira Rajput, who is 23 year old, is a third-year English student at LSR and did her schooling from Vasant Valley School. Shahid met Mira through the religious group Radha Soami Satsang Beas. He and his father Pankaj Kapur are followers of the group. Mira Rajput is a whopping 13 years younger to Shahid. She has previously done an internship with United Nations a couple years ago. As of now after marriage also she will continue her studies. Much like Shahid himself, Mira’s Facebook profile suggests that she loves Music too, especially by Avril Lavigne, Demi Lovato and Beyonce. She dated a model before this. She was in a relationship with Aditya Lal for two whole years prior to this. 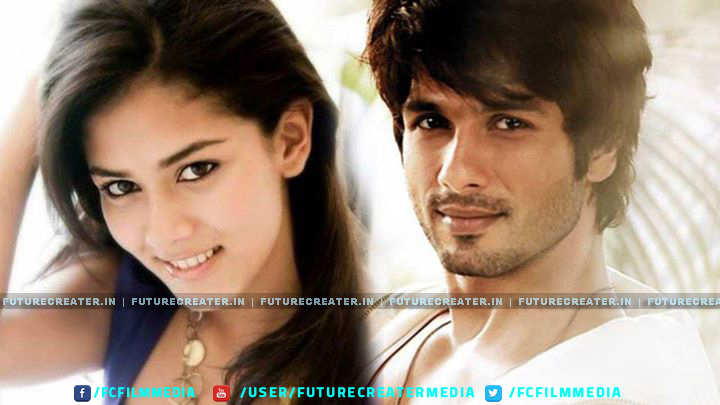 Shahid Kapoor and Mira Rajput’s wedding will be held at the Oberoi in Gurgaon’s Udyog Vihar on July 7. The card has Mira’s parents – Bela and Vikramaditya Rajput, and Shahid’s parents Neelima Azim and Pankaj Kapur and step mother Supriya Pathak inviting the guests to their kids’ wedding. Shahid Mira wedding card below the details is written – “No gifts please. Only blessings.” The card is decorated as a package with some goodies in the corner boxes. The wedding will be followed by a grand reception on July 12 in Mumbai, which the who’s who of the industry are expected to attend. The wedding ceremonies will begin from July 5 with Haldi followed by Mehendi on July 6 and finally the wedding day on July 7. All the ceremonies are expected to happen at The Oberoi, Gurgaon. While the staff of the hotel is tight-lipped about the wedding preparations.